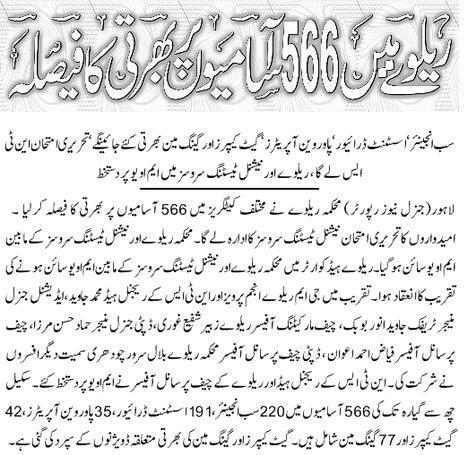 Lahore (Sunday, July 20th, 2014) – Pakistan Railways Department has decided to recruit almost five hundred and sixty six employees on vacant posts. These posts will be filled through National Testing Service (NTS). Written qualified test will be held by NTS. All jobs are of Scale 6 to Scale 11. For entry test an memorandum of understanding (MoU) has been signed between Railway department and NTS.